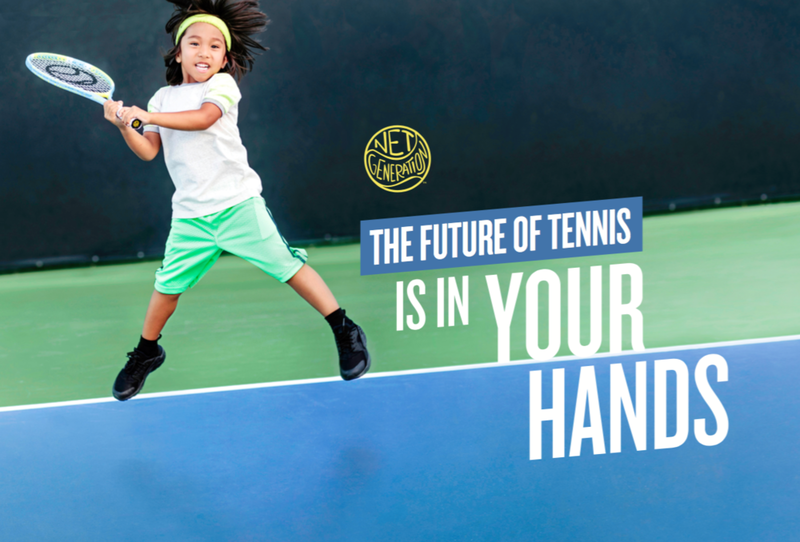 Net Generation is the US Tennis Association's new youth tennis platform. The USTA marketing team engaged Mark Welsh Creative to create a distinctive voice for the brand (vs. USTA), and to apply that voice to a premium printed piece targeted specifically to Schools and Coaches. 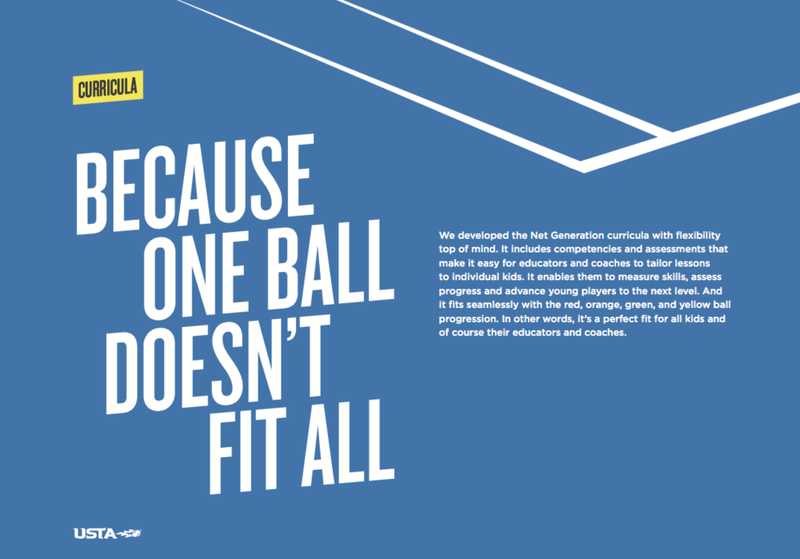 Designed to build awareness of "a new era in tennis" this tactical tool encapsulates the brand proposition and philosophy, highlights programs and diversity, and encourages tennis providers to help grow the game by registering for Net Generation in their communities.